The state of augmented reality is terrible. Despite everyone having handheld, portable computers with high-resolution cameras, no one has yet built ‘Minecraft with digital blocks in real life’, and the most exciting upcoming use for augmented reality is 3D Dungeons and Dragons. There are plenty of interesting things that can be done with augmented reality, the problem is someone needs to figure out what those things are. Lucky for us, the MIT Media Lab knocked it out of the park with the ability to program anything through augmented reality. The Reality Editor is a simple idea, but one that is extraordinarily interesting. Objects all around you are marked with a design that can be easily read by a smartphone running a computer vision application. In augmented reality, these objects have buttons and dials that can be used to turn on a lamp, open a car’s window, or any other function that can be controlled over the Internet. It’s augmented reality buttons for everything. This basic idea is simple, but by combining it by another oft-forgotten technology from the 90s, we get something really, really cool. The buttons on each of the objects can be connected together with a sort of graphical programming language. 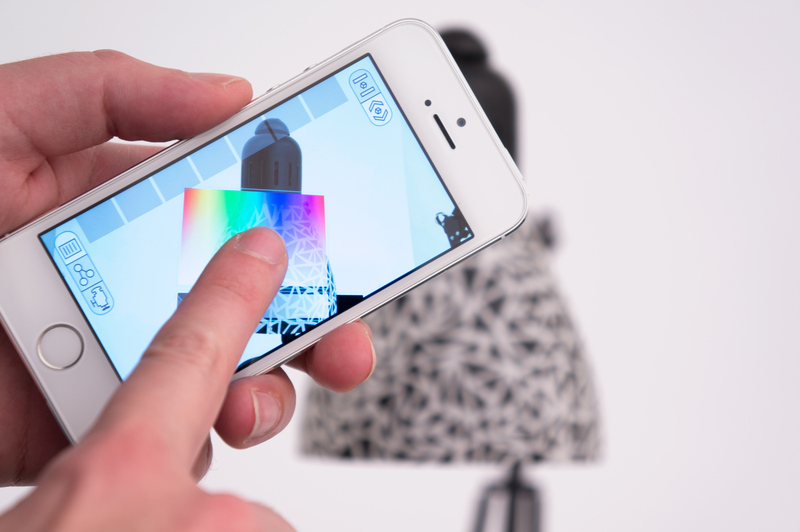 Scan a button, connect the button to a lamp, and you’re able to program the lamp with augmented reality. The Reality Editor is already available on the Apple app store, and there are a number of examples available for people to start tinkering with this weird yet interesting means of interacting with the world. If you’ve ever wondered how we’re going to interact with the Internet of Things, there you have it. Video below.